Raza Haider, an MQM leader and member of the Sindh Assembly, and his guard were shot dead at a mosque in Nazimabad in Karachi. It was a sad event. Target killings are unwarranted and uncalled for. The culprits of this cold-blooded murder and all such murders should be caught immediately and punished severely. But another sad event followed the murder. As soon as news of the incident broke all shops were closed. Members of the self-proclaimed ‘middle-class’ and ‘most educated’ political party of Pakistan were allegedly seen threatening shopkeepers. Some shopkeepers were even physically attacked by workers. A Pakhtun cobbler’s small shop was torn down. Should shops and businesses in Karachi be forced to close down? The closure of businesses and shops means a substantial loss of billions of rupees every day. It means that daily wagers will not have money to buy food to feed their families. Bread, milk, eggs, pulses, flour and rice will not be available. Pakistan is already suffering from massive budgetary difficulties and day-to-day financial problems. An entire day without business in the financial hub of the country will not help solve our national economic problems. Only one party could be responsible for the city-wide shut down of business. Karachi is MQM and MQM is Karachi. If any party wants to prosper in the political culture of Pakistan it should practice patience and tolerance even in the face of tragedy. Punjab is often seen coping with the after effect of any tragedy much prudently. This is why the party should advise its workers to stop the forceful closure of shops and businesses. 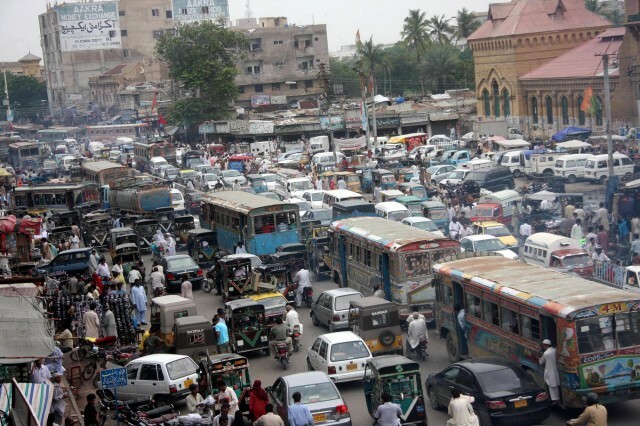 Meanwhile, as the public rushed to reach home safely, policemen continued the practice of greasing their palms on Shahra-e-Faisal and other busy routes in Karachi. Why would the police harrass civilians on a day when the entire city was worried about security and getting home safe and sound? I am not in favor of ransom during a normal situation in the country but during emergencies it is inexcusable. All in all, I feel that we, Pakistanis, are quite emotional as a nation. We react to the things emotionally while completely forgetting its adverse outcome. We must understand that during such trying times Pakistan needs our honest and patient services more than it needs impulsive reactions.